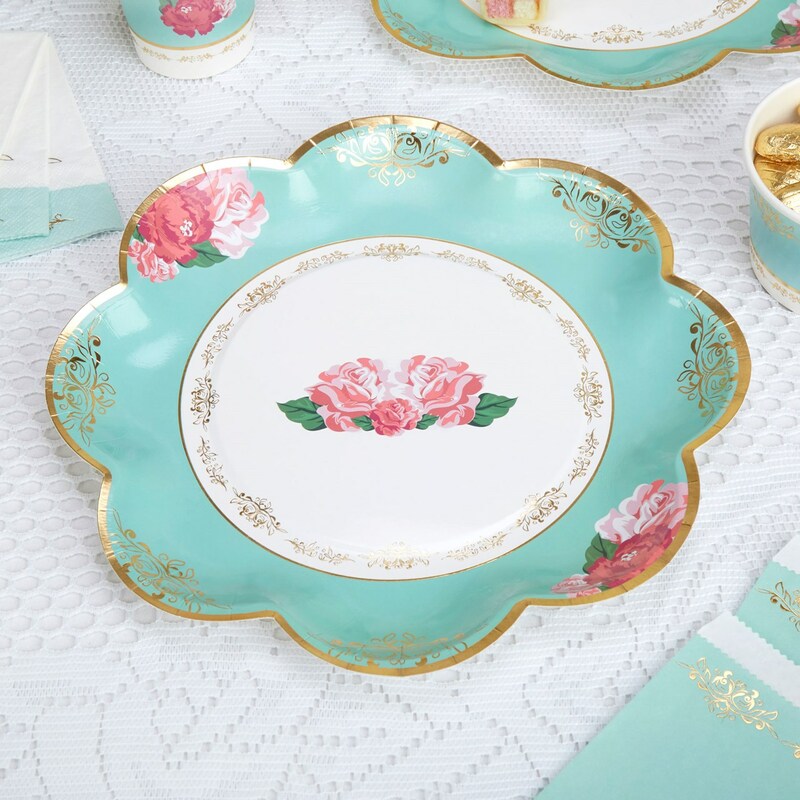 Create a tea party to remember with the exquisite items in our Eternal Rose collection, including these stunning scalloped edge plates. Made from robust paper, the design on the plates recalls classic vintage crockery, with its gold edging and floral motifs. A pretty colour palette of turquoise, white and pink offers the perfect background to a classic high tea of cake, scones and sandwiches.Each pack contains 8 Paper Plates. Regret this item is unavailable until January 2019.